By Stephanie Quilligan | May 1, 2012. Photo credit: El Humilde Fotero del Pánico on Flickr. 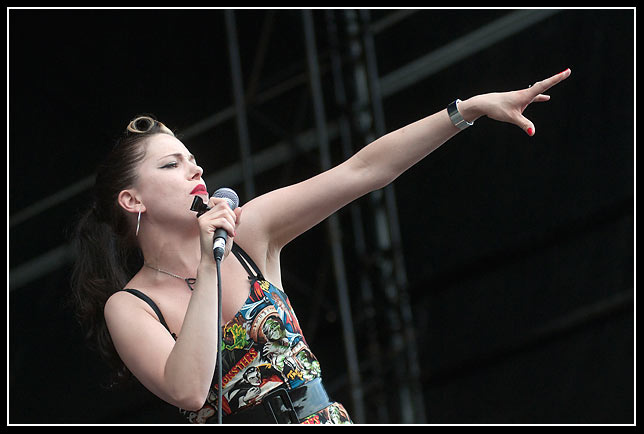 Imelda May has recently announced that she and husband Darrel Higham are expecting their first child later this year. However, it was straight back to work for May as she performed in Monte Carlo at the Rose Ball, an event in aid of charity, on March 24th. She performed along with her band, which includes Higham, her husband of 10 years. The singer rocked the stage singing some of her biggest hits and showed no hint that she will be putting her music career on hold. The 37-year old has yet to finish her tour with performances at the Royal Albert Hall on May 4th and a final show at the Marque in Cork on June 9th which is still to come. She is also hard at work on her third album following the huge success of Mayhem in 2010.